NEW PRICE! 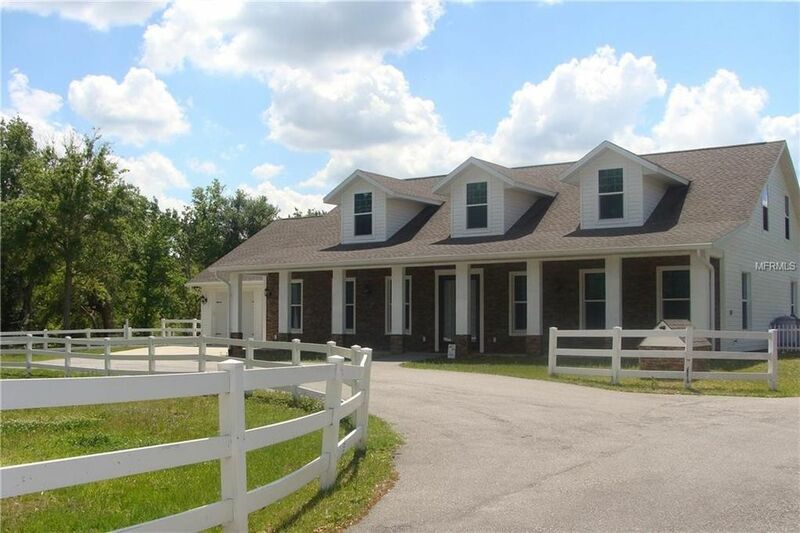 SPRUCE CREEK FARMS CUSTOM ESTATE HOME LOCATED ON A PRIVATE STREET WITH OVER 3 ACRES! Five stall barn, ranch style fencing, private small pond, oversized driveway and plenty of room for all your recreational vehicles! No HOA, bring your boat and RV! The floor plan features 5 bedrooms with 4 baths, a huge bonus room up with a wet bar! The 2 additional bedrooms up do not have closets. The master bedroom and bath are located on the main floor with an additional two bedrooms and two baths. The second bonus up can be counted as a 6th bedroom! There is also an office off the kitchen with a built-in desk and Murphy bed. The Dream gourmet kitchen has all top of the line SS appliances, a wine refrigerator, granite counter tops and custom wood cabinets! The five stall barn is equipped with feed and tack room and huge upper loft! Oversized 2 car garage and there is also an air conditioned workout room (13 x 10) off of the garage with its own outside entry. Conveniently located to major roadways, Daytona Beach and New Smyrna Beach! This property may be under audio/visual surveillance. Directions: From Taylor Rd, west head South on Tomoka Farms Road to East on N. Spruce Creek Cr.